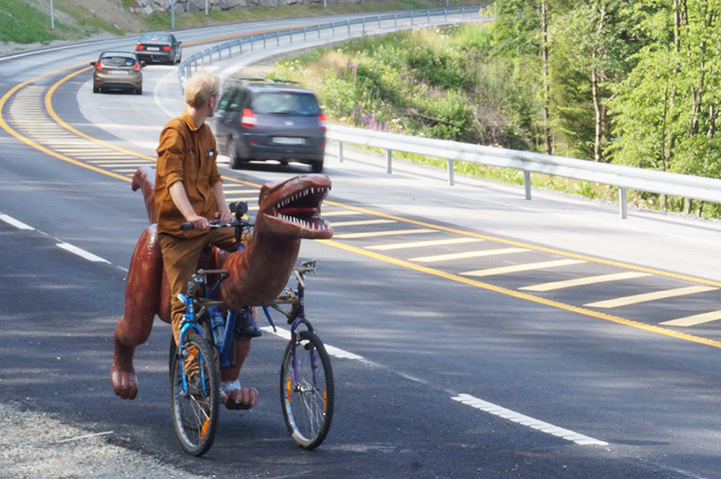 Protests can be of many forms: while some choose to raise their voice for whatever cause they are supporting, others prefer public demonstrations and rallies, and still others opt for more radical and often destructive forms of protest. 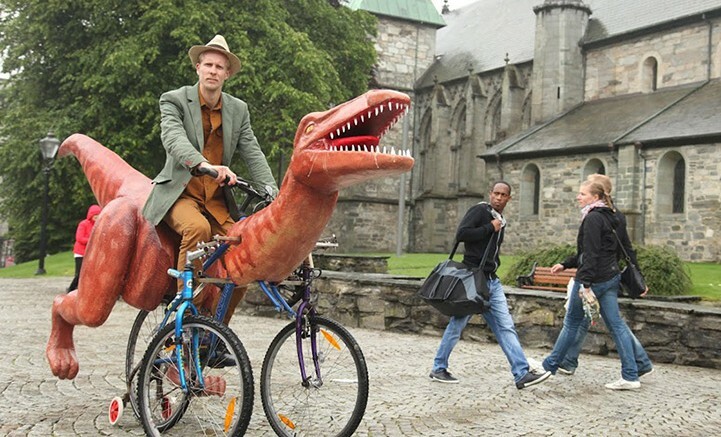 And finally, there is Markus Moestue. 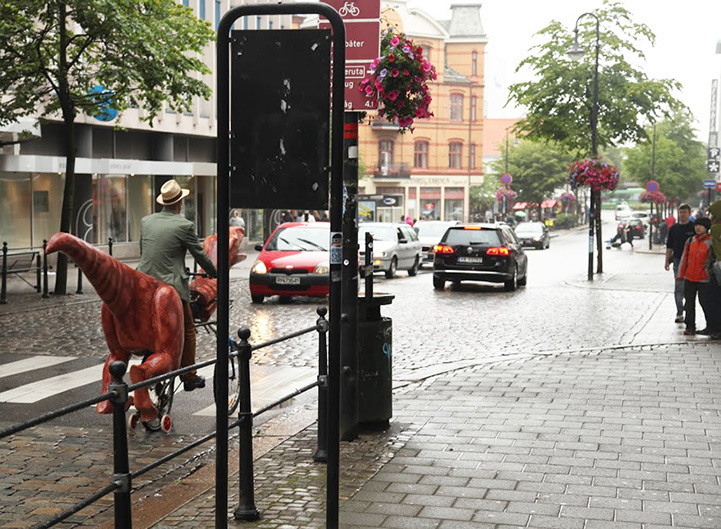 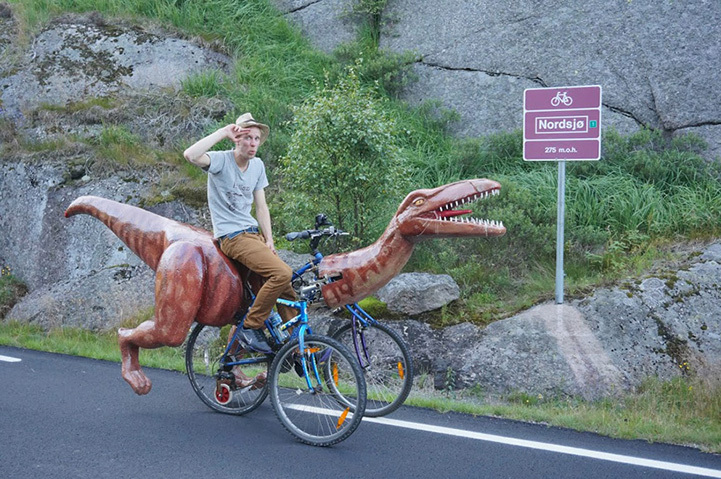 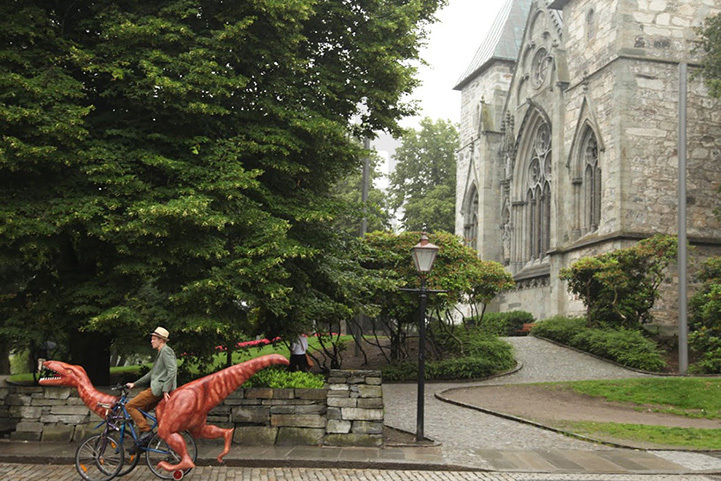 Born and brought up in Norway, this exceptionally creative artist has designed a singularly innovative and somewhat outlandish three-wheeler dinosaur bike for his trip around the country. 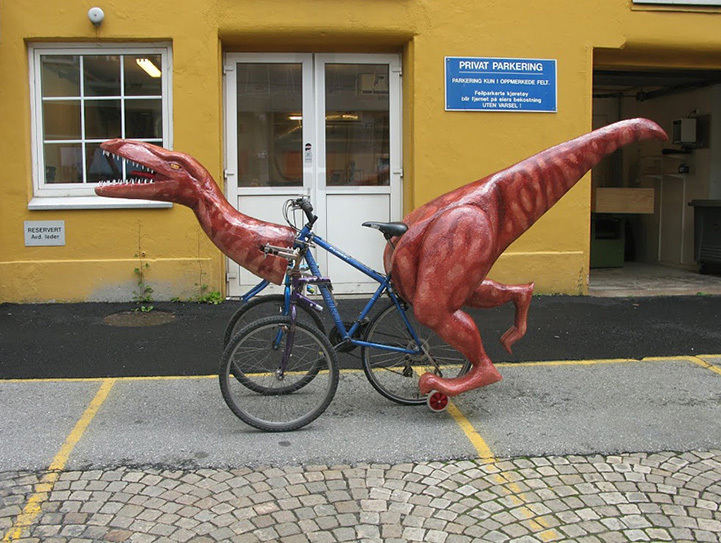 The basic framework of the bike was constructed by welding three separate bicycle parts together, such that it can hold the weight of the dinosaur superstructure. 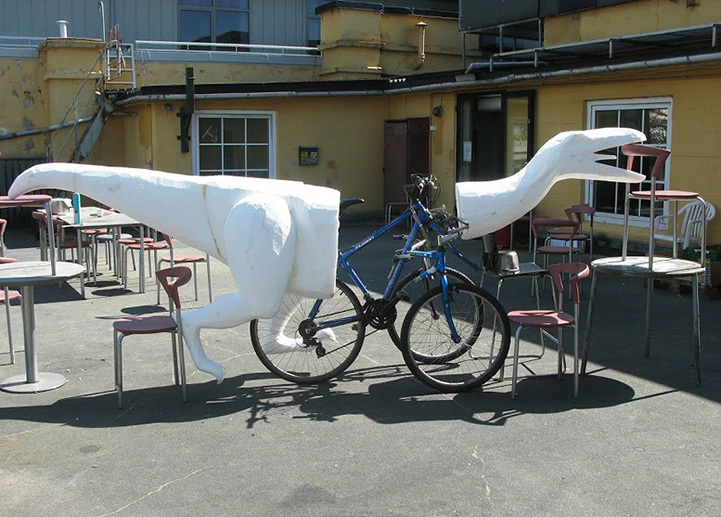 The body of the dinosaur was carved out of a styrofoam and then skilfully sculpted to resemble the actual shape of a velociraptor as closely as possible. 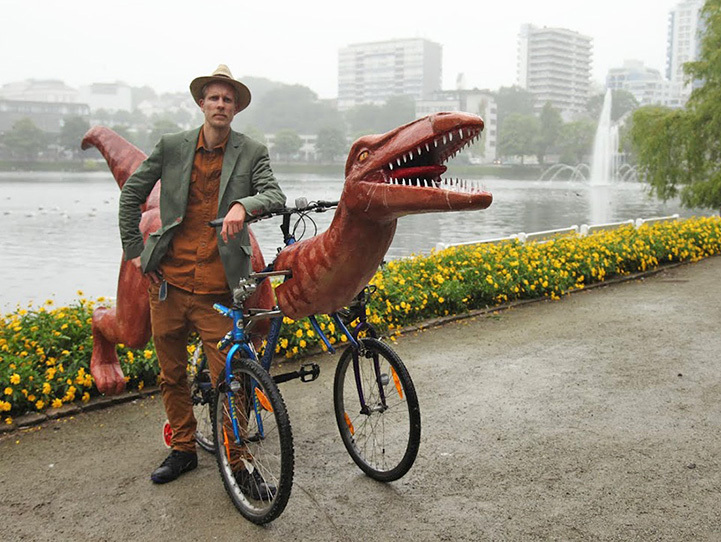 With the help of a standard kitchen knife, Moestue chiselled two mammoth chunks of styrofoam to create the pointed head and the long, bony tail of the dinosaur. 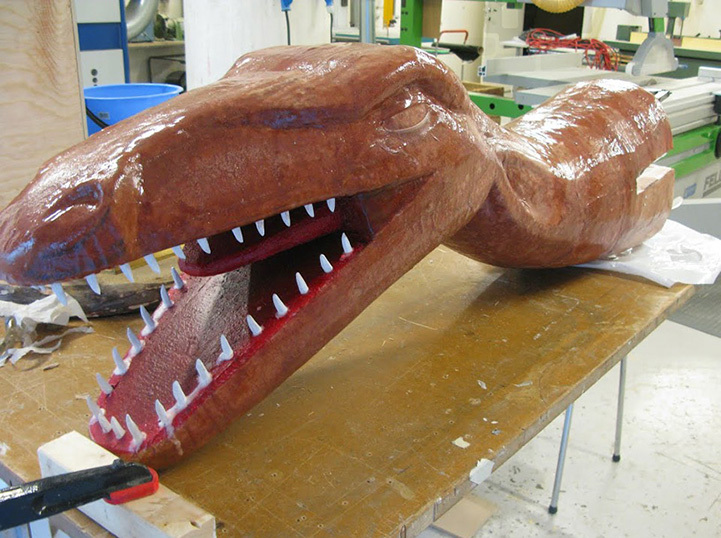 Layers of epoxy glue and glass fiber coating, along with bright orange and red paints, were masterfully applied to finish the look of this wondrous contrivance. 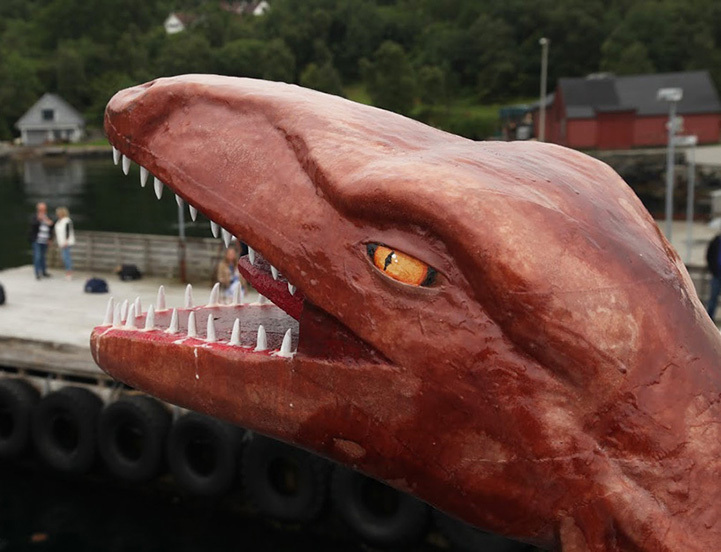 The artist also added intricate details, like the rough folds and scales of the dinosaur skin, razor-sharp teeth and dribbling saliva, to make his creation convincing. 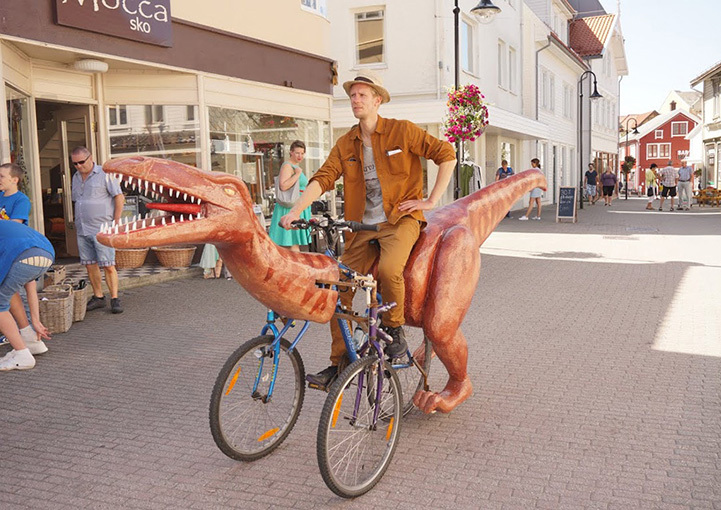 It was a protest against the dogmatic religious education of children, and the idea originated from the theme-parks of creationists that teach children that humans and dinosaurs used to live together.